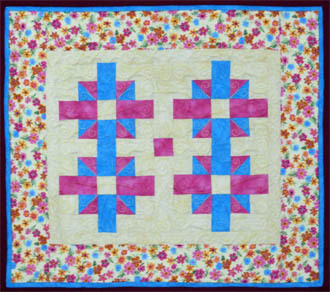 Happy Thoughts - 22" x 25"
Make this wall hanging for any season and it will make you feel so warm and fuzzy. Choose your border fabrics first and then you two colors and background. Thangles are used in this project.